Cinnamon (darchini or darchini) is commonly present in South Asian Spices (masalas). Cinnamon (dalchini) is an Aromatic smelling bark, cinnamon is widely used in most kitchens. It is principally employed in cookery as a seasoning and flavoring material. Ancient Chinese references mention about use of Cinnamon as early as 2700 BC as a medicine for relieving nausea, fever, diarrhea and menstrual problems. 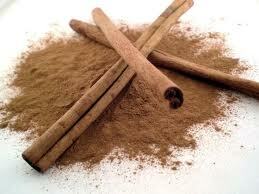 Cinnamon is used for stimulating gastric and digestive juices and carminative. It is an antiseptic that helps kill bacteria which cause tooth decay and gum disease, and that is why most of the tooth pastes are cinnamon flavored. It also kills many fungi and viruses that cause diseases. It helps to clear up urinary tract infections. In diabetic patients, it helps metabolize sugar in a better way using less insulin.